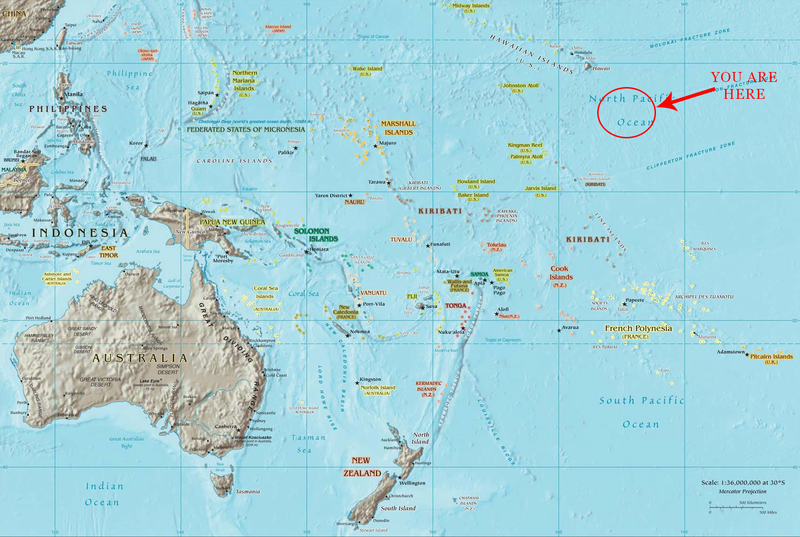 I realised I hadn't been horribly clear on where exactly in the pacific we were. I had it in my mind for quite some time, but It never occurred to me to make a map so... here's where we are. I see we're almost at the end of every thing. Good, less humans finding the island accidentally. So, we're not quite on top of R'lyeh. Good. That means that when Cthulhu awakens, we'll still have a few seconds before we're destroyed by the combination of tsunami and wave of pure madness. As an aside note, of possible interest, or maybe not, this particular patch of the Pacific is not far off from where the Apollo capsules splashed down after their missions to the moon. It's also not too far from where the French and the US tested their nuclear devices. (02-06-2016, 05:02 PM)Tamara Wrote: It's also not too far from where the French and the US tested their nuclear devices. Current time: 04-21-2019, 08:44 AM Powered By MyBB, © 2002-2019 MyBB Group.